There was a chill to the air as I peered out into the early morning light from under the flap of my swag. My arm flailed free from the confines of my bedroll falling on the thick outer canvas, wet with beads of dew. 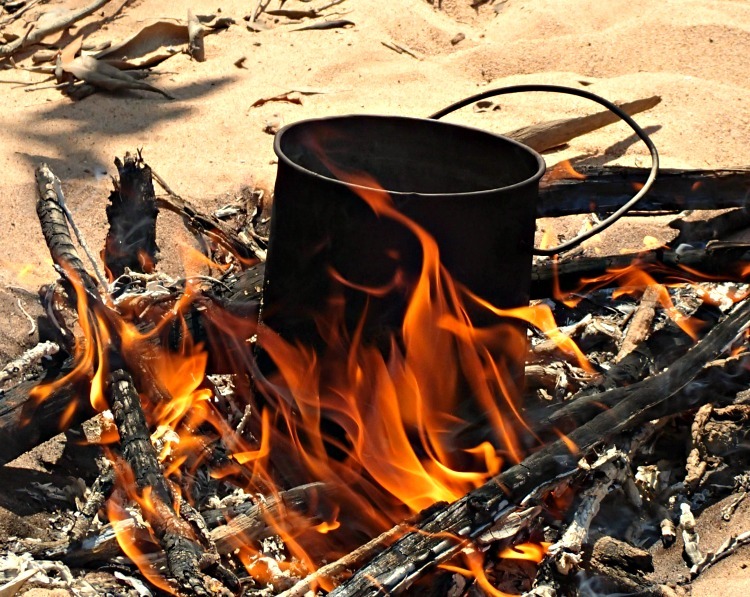 But the sun was now piercing through the foliage and the temperature was already on the rise, so with the camp fire brewing the first cup of tea for the day and the smell of a cooked breakfast that our guide Matt was preparing, I’m enticed out of my cocoon. 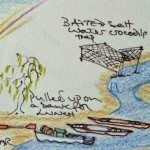 With full bellies, the kitchen and sleeping gear all magically disappear back into Matt’s seemingly bottomless canoe and the three of us were back on the water, paddling downstream. There is such a beauty to being totally unplugged from the world. What lengths do we have to go to, to escape the constant madness that bombards us in our everyday life? 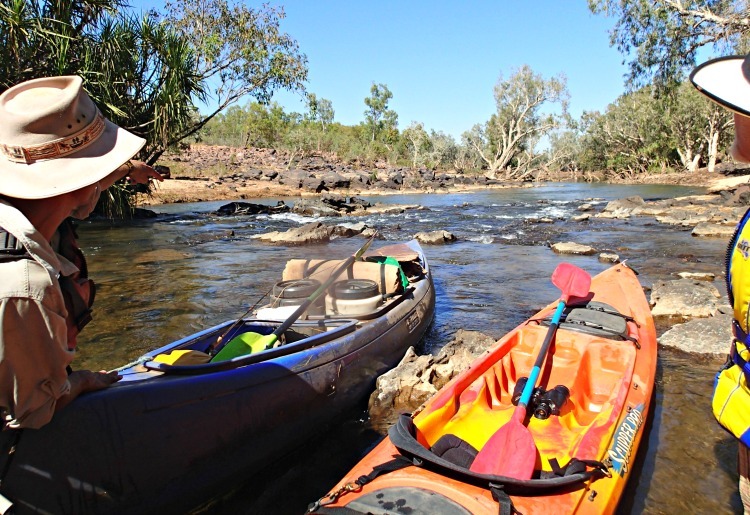 Well, taking a 3 day kayaking trip down the Katherine River could be one! 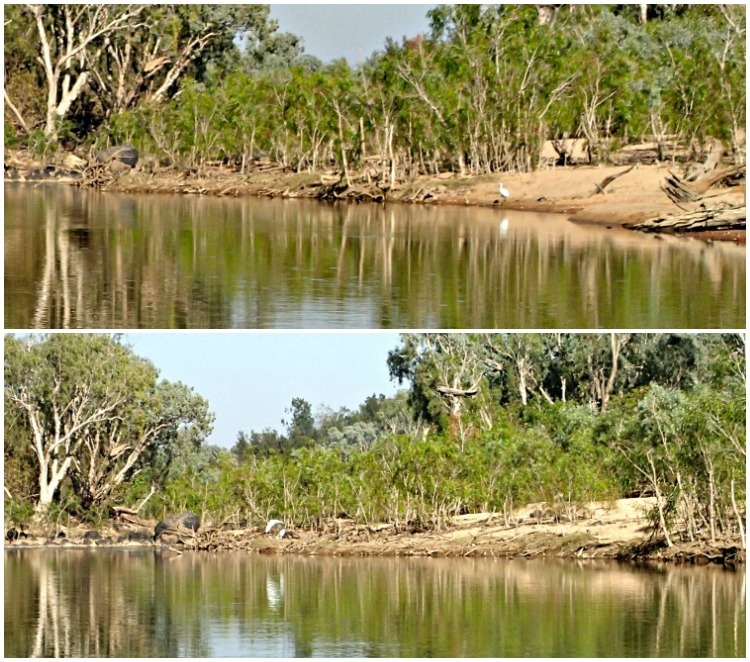 The narrow pandanus channel where we’d camped having rejoined the main river gradually widened out and slowed its pace. Despite our lazy approach an egret on a distant sandy bank gave us a wide berth taking off with its large white flapping wings creating a painterly reflection in the water below. 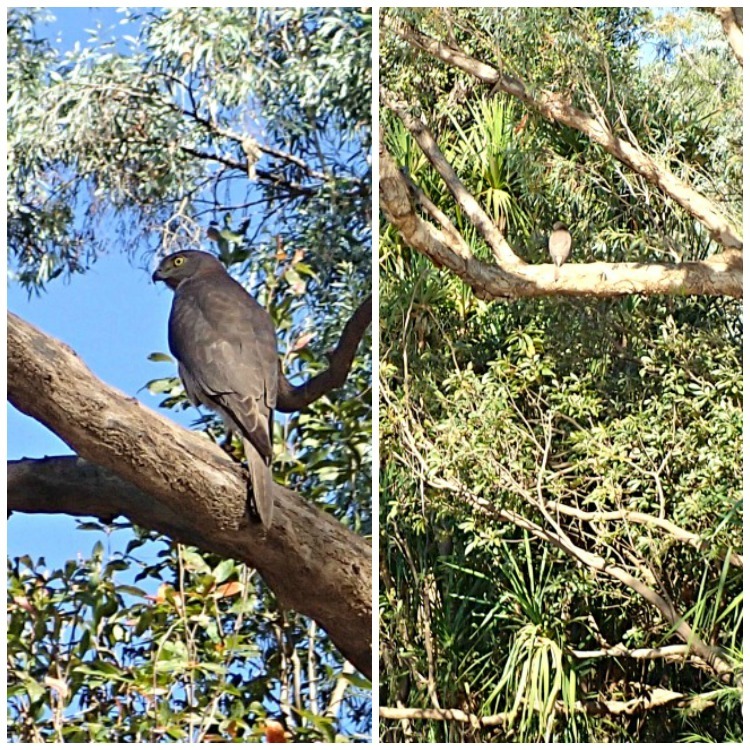 But I was in awe when we spotted a Goshawk sitting on a tree branch who amazingly, stayed put as I floated silently underneath. Its so silent, so gentle, such a smooth method of moving through the bush you can glide up on the wildlife, totally unheard, and appear relatively nonthreatening. 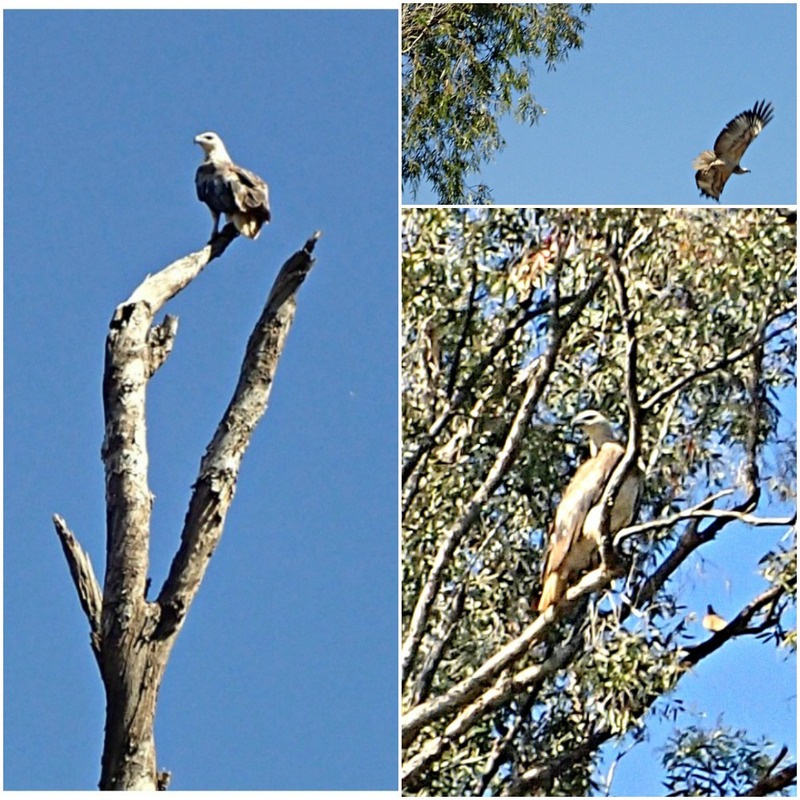 We next see a White Bellied Sea Eagle, who seemed to enjoy our company, and appeared to play a game of tag with us! Sitting in a tree as we approached, he took off displaying his superb wing span, flew down stream to the next branched vantage point – Sat, watched us approach, sometimes letting us pass, then would come up from behind, circle, tag and taunt us with his aerobic prowess! Then there were the fresh water prawns – Cheribin. Later that night Matt highlighted these for us with his torch beaming down into the shallows, showing their iridescent pinky-orange eyes glowing back at us along the water’s edge. We also saw some larger red eyes shining from over on the distant bank – freshwater crocodile eyes. 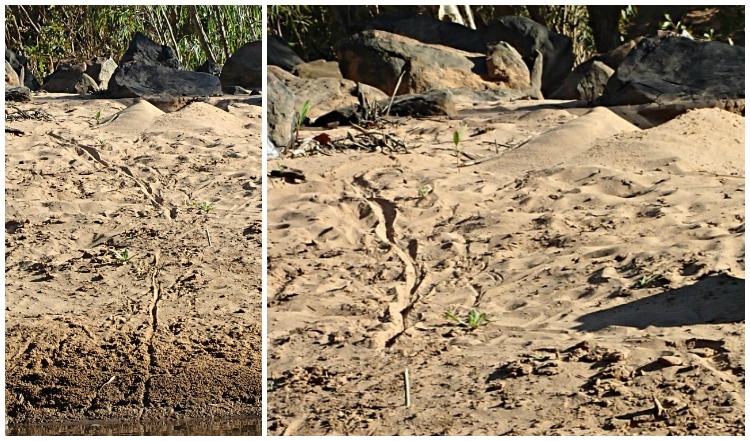 The following morning when we set off around the corner of the river there were the tell tale signs of a female freshie who’d been up on the bank checking out suitable spots to lay her eggs – as seen by the piles of sand she’d heaped up as she dug. Despite the simplicity of a picnic on a river bank, there’s something quite decadent about pulling up in one’s kayak on an uninhabited, perfect white sandy beach on the side of a river for a spot of lunch! With no one else in sight, this wilderness is ours for the taking. 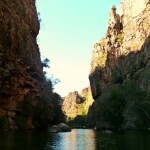 Matt took us a away from the water to share an outback delight he’d spotted on a previous trip. Hidden away under a bush was a Great Bowerbird’s nest. Unlike the Satin Bowerbird that collects blue objects to woo the female, the Great Bowerbird collects white and pale green objects to attract his mate – In this case a beautiful collection of bleached snail shells. With house building skills like this what female could ever refuse? 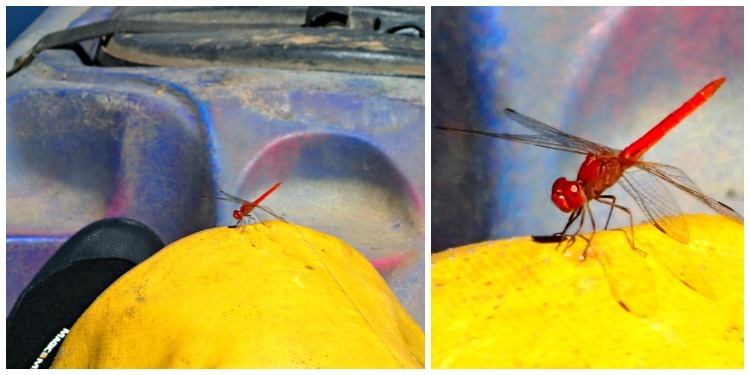 The afternoon continued in a lazy fashion, where even a Scarlet Percher dragonfly took a break from the day’s flutterings and hitched a ride on my yellow waterproof day bag wedged in the front of my kayak. But the afternoon hotted up, not only the temperature, but in the pace of the river as we approached a series of rapids. Well, not real rapids if you are a true-blue kayaker – but for us beginners, they were rapids. On others where there were more rocks protruding than water, Matt had us out so he could ‘walk’ the kayaks over the shallows. But for the remainder we had the fun of what felt like speeding through frothing white water, putting our newly found kayaking skills to the test. Paddles aren’t just used for paddling! On a river such as this where there’s quite a good flow of water, the paddle more often is used as a rudder to steer. Placing the paddle vertically in the water (towards the back of the kayak) on the left side will turn your vessel left, or of course positioning it vertically on the right will steer you right. Another nifty trick to remember, particularly when going with the flow around a corner at speed, is not to lean into the corner as you would on a bicycle, as this will court disaster. The water coming down stream with you will start to come over that inside edge and before you know what’s happened the pressure of the flow will push it down – and bang – you’re flipped! 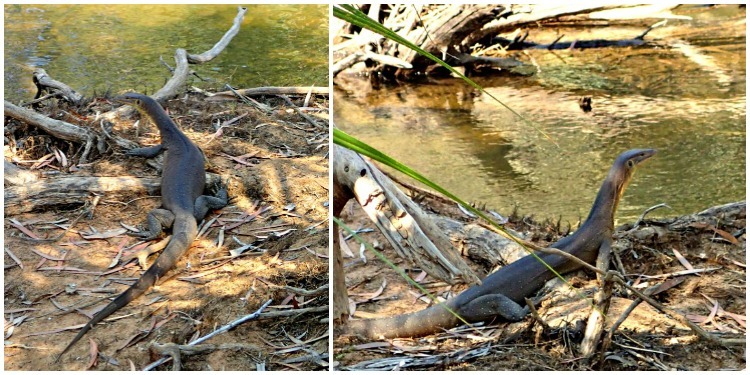 It was at the bottom of this last set of rapids that we stopped for our second night of camping out under the stars and were thrilled to see this Mertens Water Monitor. With the invasion of the introduced cane toads from Queensland, spreading across the Top End, their future is classified as ‘vulnerable’, so they may become an increasing rare sight. Matt’s magic canoe again produced tables, chairs and a camp oven (Bedourie spun steel pot) which once the camp fire had died back a bit he placed in the red hot embers, full of all manner of vegetables, which he roasted to a turn. 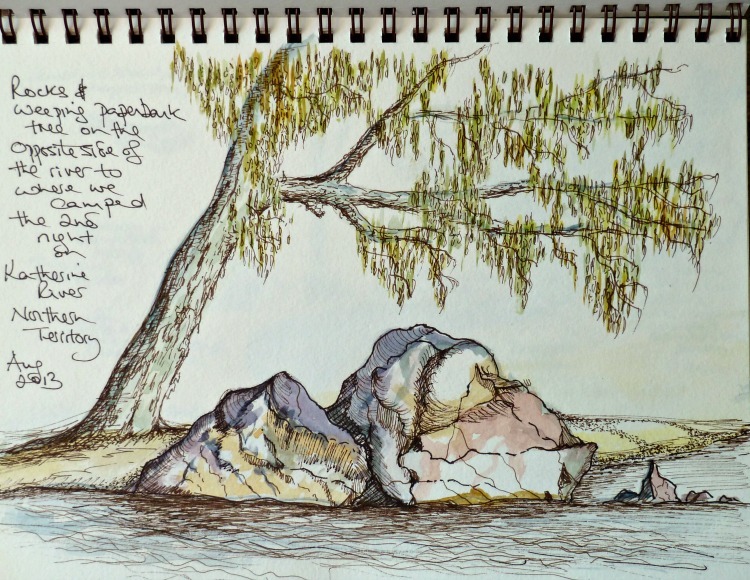 As the sun lowered behind the trees I retreated to the back of the sandy beach and set myself up with a micron pen and some watercolours to sketch the weeping paperbark tree and rocks on the opposite side of the River, behind our camp spot. 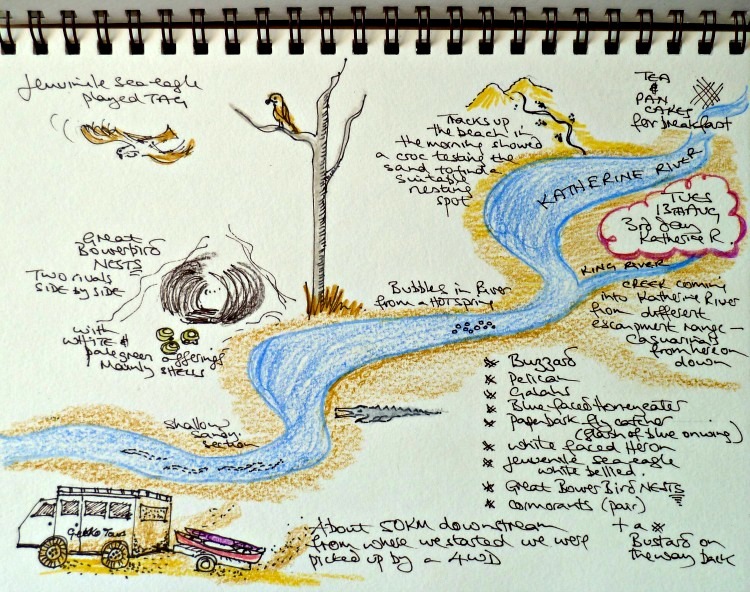 I also made a start on my Story-Map Journal, listing the birds we’d seen and illustrating highlights of our adventures from the 2nd day of kayaking down the Katherine River. Excited from the previous night when we’d been treated to such a spectacle of shooting stars I forced myself to lie awake for part of the night to again relish the natural firework display laid on by this annual passing of the Perseid Meteor shower. It didn’t disappoint. Another chilly, dewy morning but with steaming hot tea and pancakes on the menu we were up and away. This final day presented another 10 different species of birds – in addition to the 25 we’d previously seen making it a a total of 35, which considering we had no binocs and certainly were not twitchers it was wonderful that so many types of birds had naturally presented themselves to us. 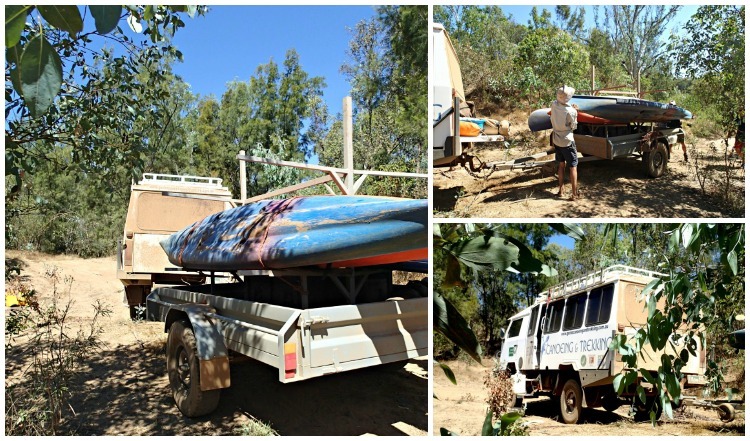 After travelling about 50km downstream over the three days we were met by Gecko Canoe company’s 4WD vehicle and trailer to pick us, and the kayaks, up. 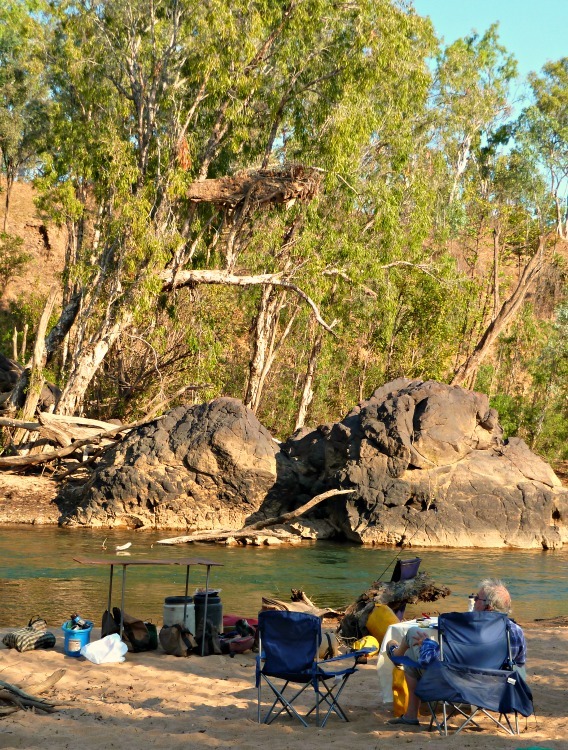 It had been a wonderful adventure into the Northern Territory’s outback. Kayaking is a great way for getting out into nature. Have you done any kayaking? Or, is this on your to do list? 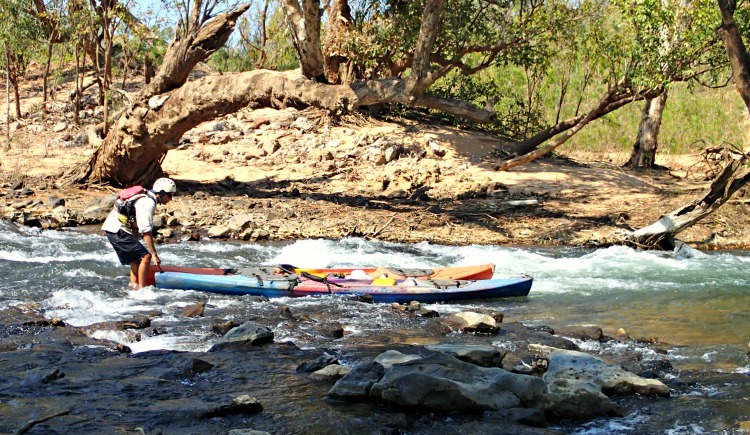 This entry was posted in Australia - Top End and tagged canoeing, katherine, kayaking, northern territory, top end, top_end by Linda. Bookmark the permalink. It’s so fantastic to be unplugged for a few days isn’t it? 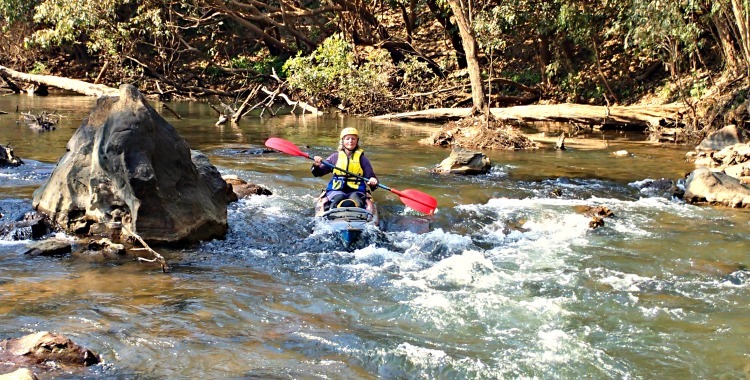 I love the look of absolute bliss on your face as you’re kayaking down that little rapid! Priceless! Kayaking definitely is on my to do list and you had the perfect experience on this river. You became part of the landscape and could enjoy the flora and fauna without disturbing them. If you’re a lover of landscape Neva, you’ll love kayaking! What a delight to slip down the river and quietly observe the nature surroundings especially with a guide to do the cooking and packing. 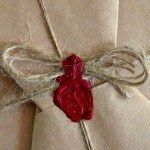 And I love your art journal. I have to say, having someone totally take care of the catering was a real treat! No menu planning, no shopping lists for ingredients, no organizing the kitchen equipment – Nope – Just turn up and it was all laid on! We’ve visited Australia – Sydney, Melbourne and the Hunter Valley and loved every moment so I can image the beauty of the outer areas. This looks to have been a fun and relaxing respite and I agree, sometimes it is good to just disconnect. p.s. I love your drawings and your work. 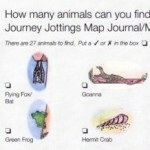 I create our travel journals but I do it in scrapbook/photo format. 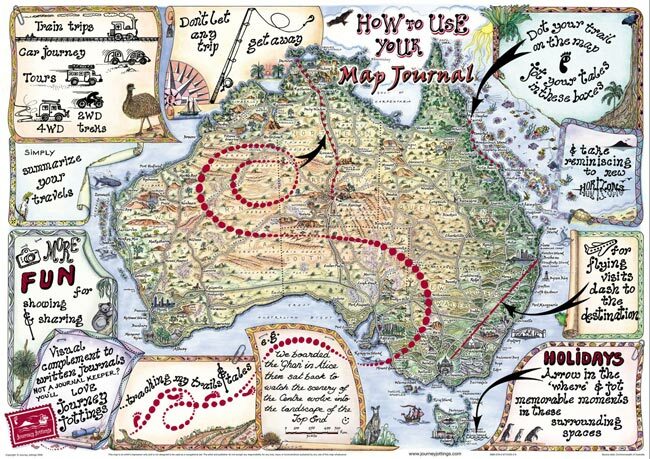 So pleased to hear you enjoyed your trip to the SE corner of Australia – I wonder if you came across our Journal Maps for highlighting your holiday?! 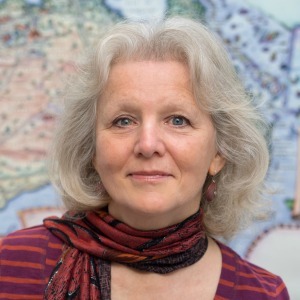 That’s great to hear you’re recording your trips by combining scrapbooking with photos – It’s so wonderful to have something to help bring back the smiles that always go with holiday memories. 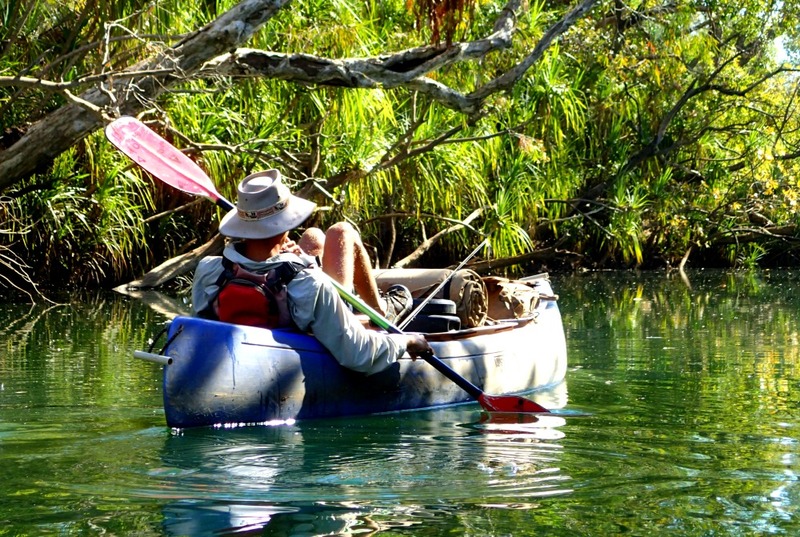 Kayaking along some of our Australian rivers is something I would really love to do. So thankyou for taking us along. 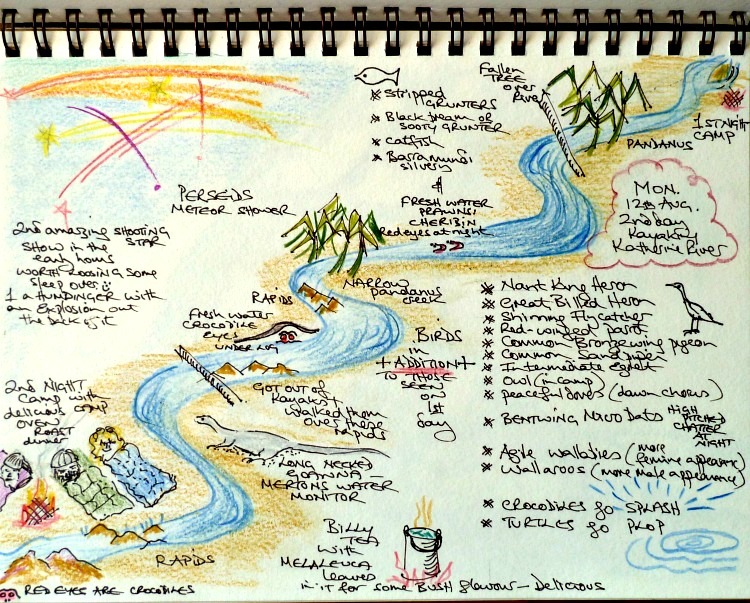 I really enjoyed your post – and I LOVE your sketch maps – fantastic! I wish I was so artistic. 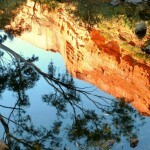 I will be back to see more! 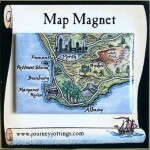 Happy travels and have a wonderful week and thank you for stopping by my blog this week. Its such a pleasant way to travel through the bush! 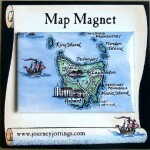 Re the story-maps – so pleased you ‘love’ them! I’m planning a series of blog posts about how to create these as really they’re just a mind map of the day’s events illustrated with a few symbols! What a great adventure and I love the photos. It was a fun adventure that had the feeling of going on an expedition! 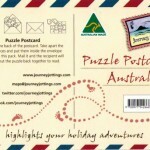 What a great way to break away from the trappings of our busy online lives. 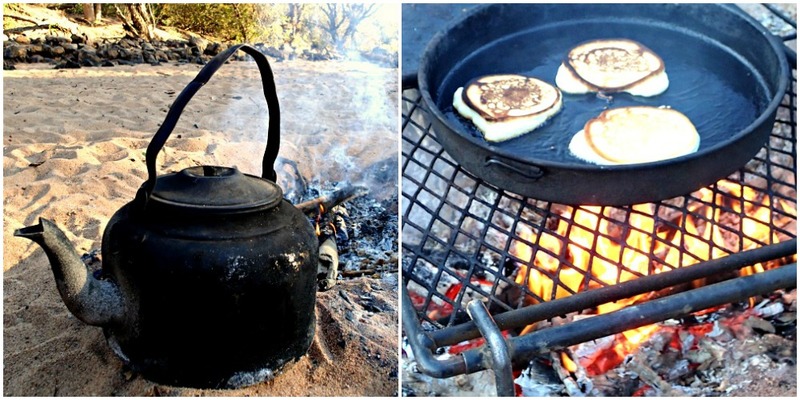 I have to say the kayaking seems like much fun and the sights along the way are wonderful, but I could go for the hot tea and pancakes right now. 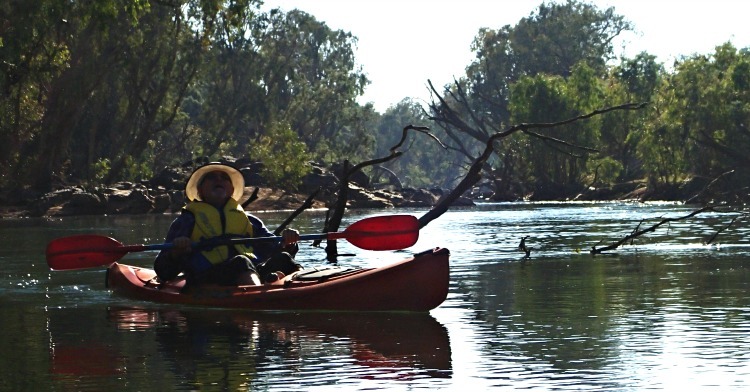 This looks like an amazing way to explore the Katherine – tranquil, slow and quiet. I’d love to do this one day! Great post! 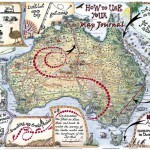 I really love your maps/drawings. What a special talent!!!! 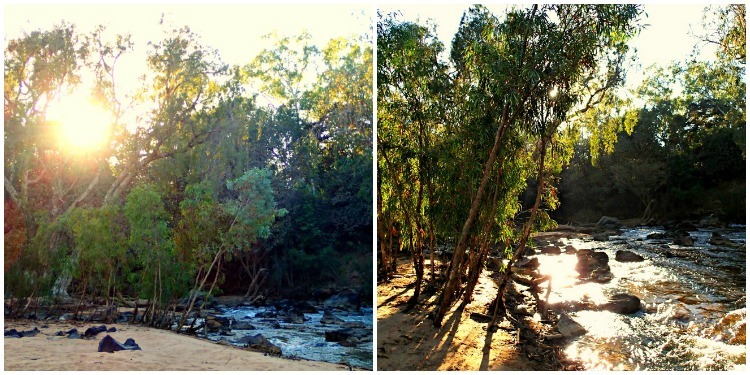 The Northern Territory is a very special place, isn’t it?! The 3 day trip we did was maybe easier than yours going up the Gorge, as of course we were going with the flow of the river all the way! The Northern Territory is fantastic! Only Uluru in the NT was on my list the first time I came to Australia: what a mistake! I’m glad I had another chance to go back visit the Top End. I loved every part of it. But again, an amazing experience, a great adventure. Canoeing/Kayaking is such a great way to explore the nature. I couldn’t believe how close we got to be with some cormorans and herons (and a crocodile… oops… just a freshy :p). Loved it. I love kayaking for the exact same reason as you state – It is such a great way to glide silently up on wildlife without disturbing them and see them so wonderfully close in their natural habitat!